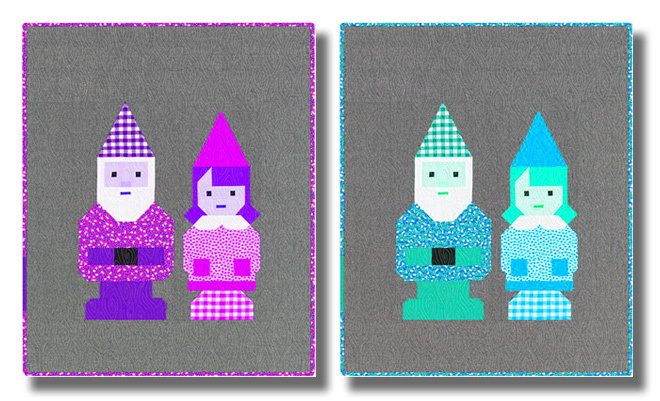 Gnome siblings, Norm and Nanette, can be pieced using conventional patchwork techniques. No paper piecing! 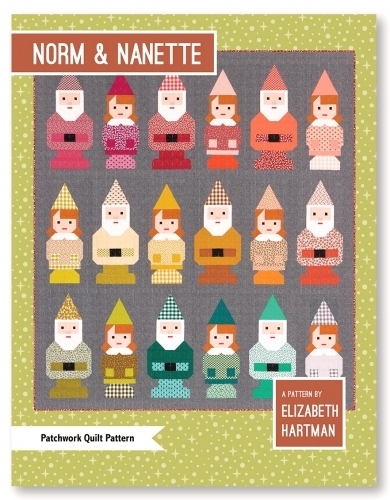 This pattern is precut friendly, using 10" x 10" squares to make Norm and Nanette's hats, clothes, and boots. 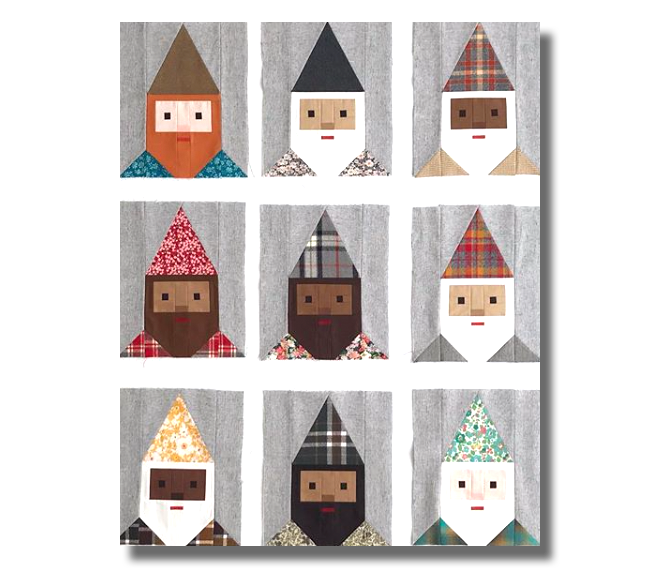 That means that this is also a great pattern for using scraps! Small Quilt 30" x 36"
Large Quilt 68" x 76"